I really didn't expect this. My stomach is still uneasy. I decided to celebrate my birthday a little early. When I woke up this afternoon I noticed that I had taken over 100 photos and I remember taking about 10. 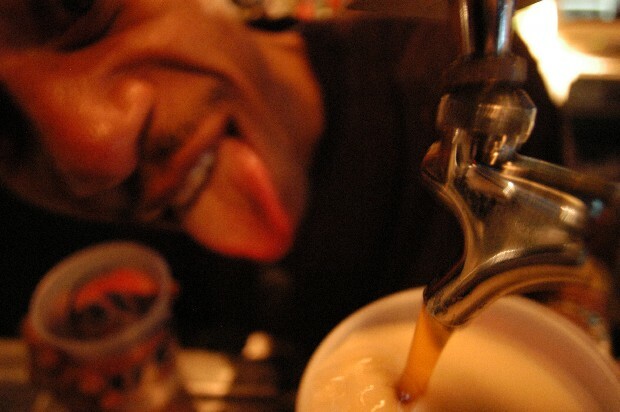 This is a picture I don't remember taking of Peabody working the tap at the Xchange on G street. I guess I should have taken Yanis more seriously when he mentioned I had finished nearly an entire bottle of Vanila Stoli.